The latest review on Boston's Hidden Restaurants was posted last night. 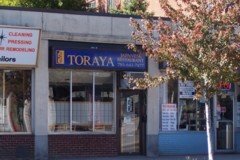 Toraya Restaurant is a tiny Japanese dining spot just west of Arlington Center that has some of the best sushi this side of Oishii. Their non-sushi entrees are excellent, too, so there is something for everyone at this terrific spot.